That is exactly what they need. In addition.....they are back "home" where they were made and with the maker. Awesome donation to the Museum JC. I heard one of the "makers" of that system @Chief bonehead was conferring with another maker, Curator Jim Hunter, to figure out how to fly them 30' in the air at the Museum Steam Generating Plant Building located at the Hope Airport. A lot more information and photos to follow, just wanted to thank JC in his own thread without mucking it up too much. So. The bottom right was a "frozen" K46. I swapped it out for a working one. All 4 curve about the same now. Soldered in place. Ready to put covers on. @Chief bonehead Are k-46 drivers available or is there an alterative driver that can be used in the KP600s? If not a K46, there may be concerns of the "fit". 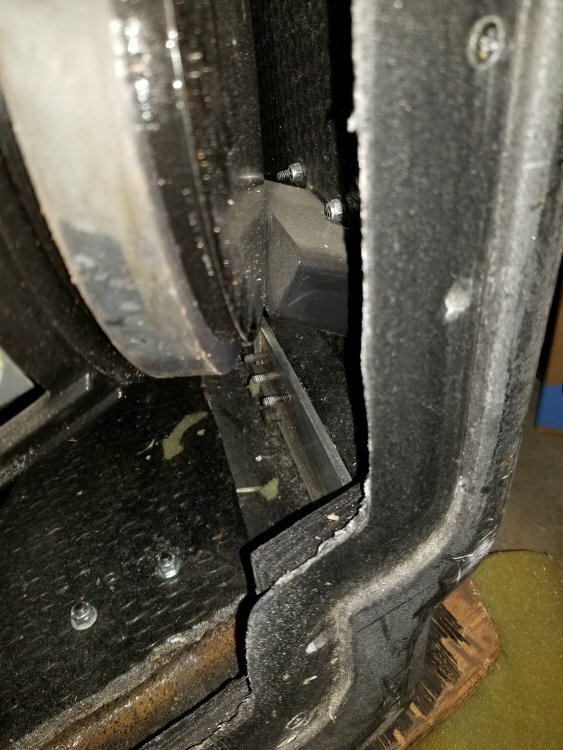 These drivers sit right on the side handles. I actually had to loosed the handle to get the driver in there then tighten later. You CAN NOT remove the handle then put the driver in there. You will never be able to install the handle. That handle has a mix and match set of screws too. Some longer than others. I bought Michael Colter's stacks and I am working on overhauling them. I'm looking for replacements for a few k46/1546 drivers. I do have one k-45/1545 in there. 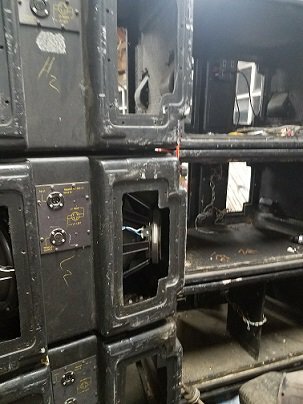 I have all new 18's recommended per Klipsch k-47-ep2 part#121812 to install and I'm looking to match the 4 15" drivers. I don't know if Klipsch would have old stock, or recommend a newer driver that they sell like the "k-1545-k" maybe as an updated replacement? I would like them to match and be Klipsch approved. If you say it's good than it's good. If I could trade places and be anyone else.. Id want to be you 😈 Its fort Knox but better!!! That should be happening next week. We're going for a work week, curtains, painting and moving stuff again, a lift is needed for the curtains so it will be used to fly the speakers. 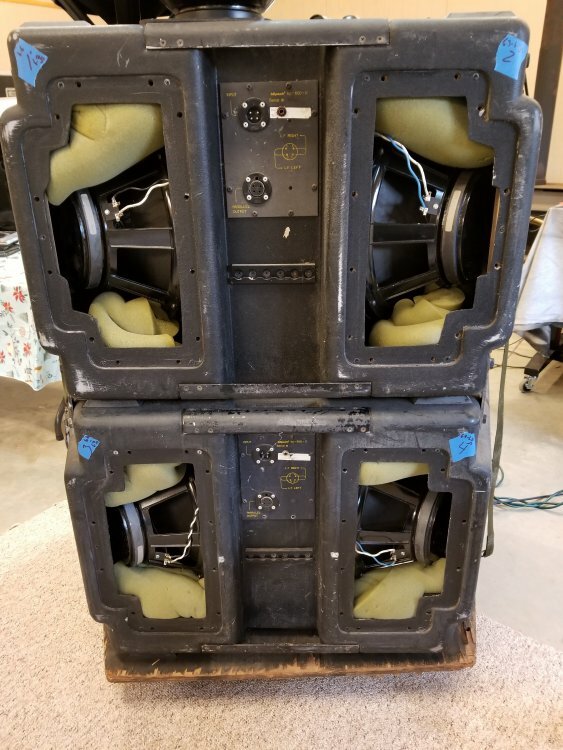 If it doesn't work you will see it in the news, " people crushed by a giant speaker"
I wanted to “like” this post but somehow it seems inappropriate.